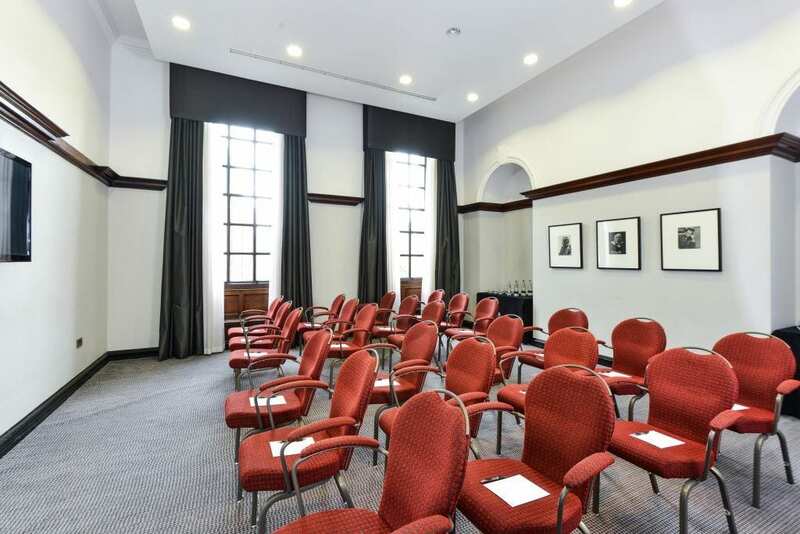 Originally built in 1906 as a ‘palace of business’ during the Golden Age of travel, The Grand is now home to a series of quality meeting rooms, event spaces and conference facilities. 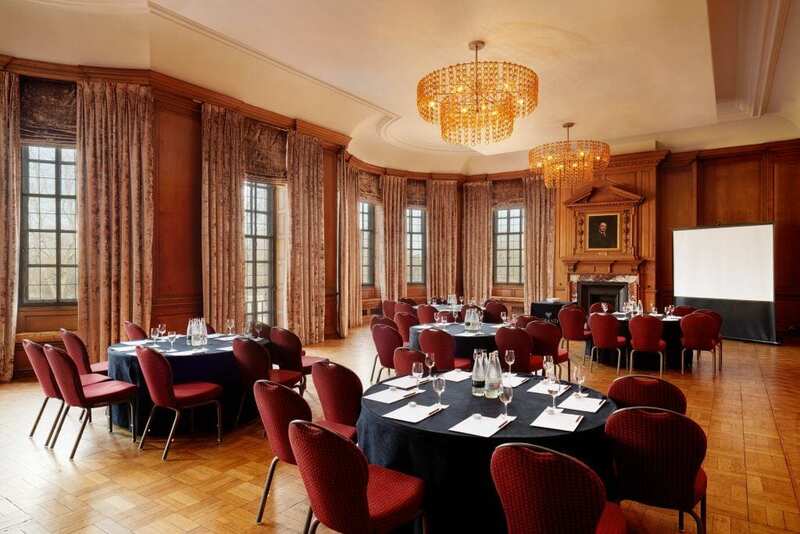 The opulent Grand Boardroom boasts stunning views across York and the city walls, with unique, original features it is perfect for large conferences or grand gala balls whilst the panelled chairman’s Suite offers a decadent setting for more intimate occasions. A further series of smart rooms make for perfect meeting rooms, private dining and break-out spaces. 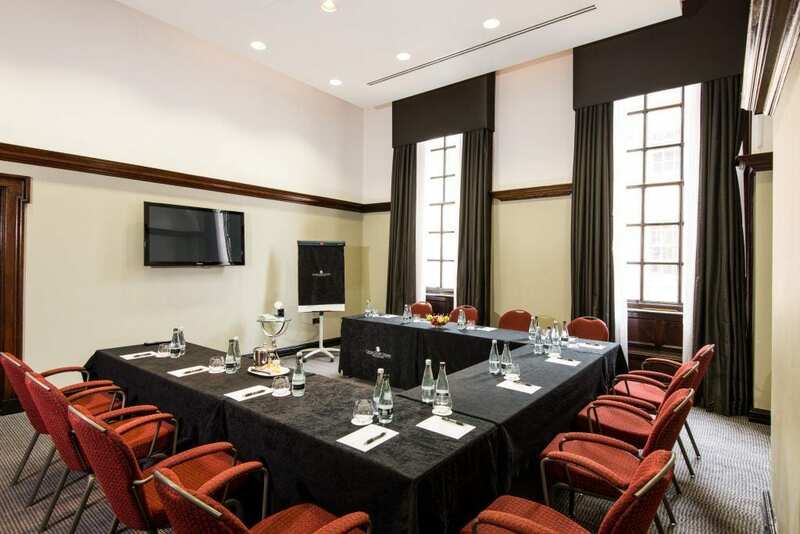 The Grand Boardroom is our flagship space accommodating up to 120 delegates. 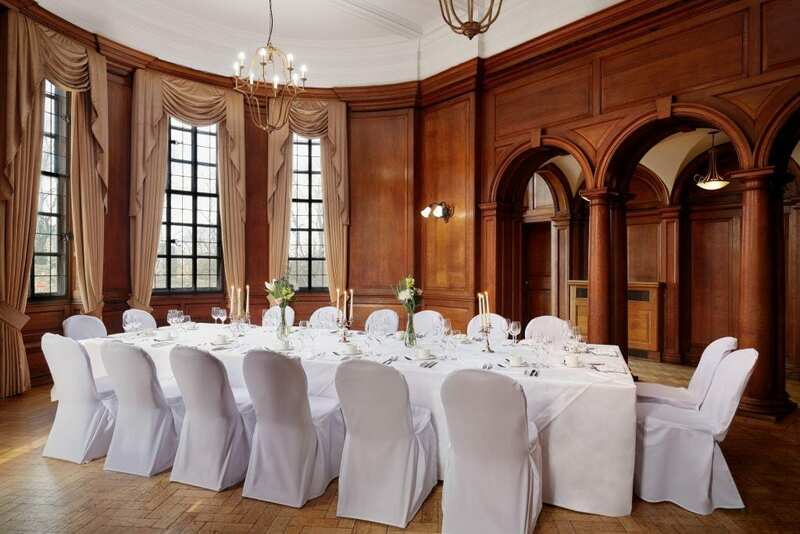 A vast, majestic room with floor to ceiling wood panelling, huge windows, and an original parquet floor, the room enjoys grand views of York Minster and the City Walls. The board table that once hosted meetings between the railway elite, political players and the great and good of Yorkshire business was so large it had to be cut up to be removed! Today we deploy the space in much more flexible ways, making it suitable for an event, party, private function or presentation. The Chairman’s Suite was the original office of the Chair of the North Eastern Railway and accommodates up to 40 delegates. After board meetings or during particularly gruelling negotiations, he could retire to his suite and dine alone, with close associates or those he was keen to impress – and impress is what this room does very well. Wood clad pillars, an ornate fireplace and views of the City Wall create a very definite mood: authority. One of our executive meeting rooms, The Gibb is named after Sir George Gibb who raised through the ranks to General Manager of the North Eastern Railway in 1891 before being knighted in 1904. 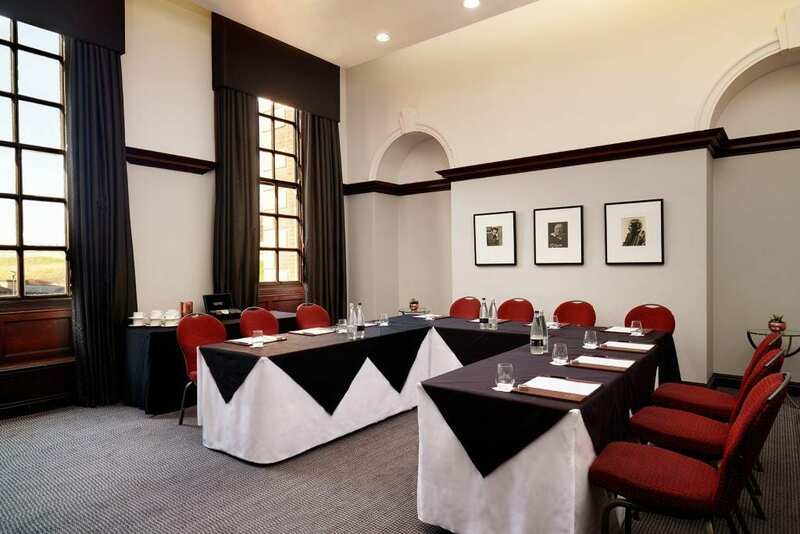 The Gibb accommodates up to 14 delegates boardroom-style and 20 theatre-style and has a wall mounted plasma, free Wi-Fi, air conditioning and tea and coffee machines. The Leeman Suite is named after arguably the most famous of York’s railway men, George Leeman, who led an extraordinary life as a lawyer, Liberal MP and finally Chairman of the North Eastern Railway from 1874-1880. 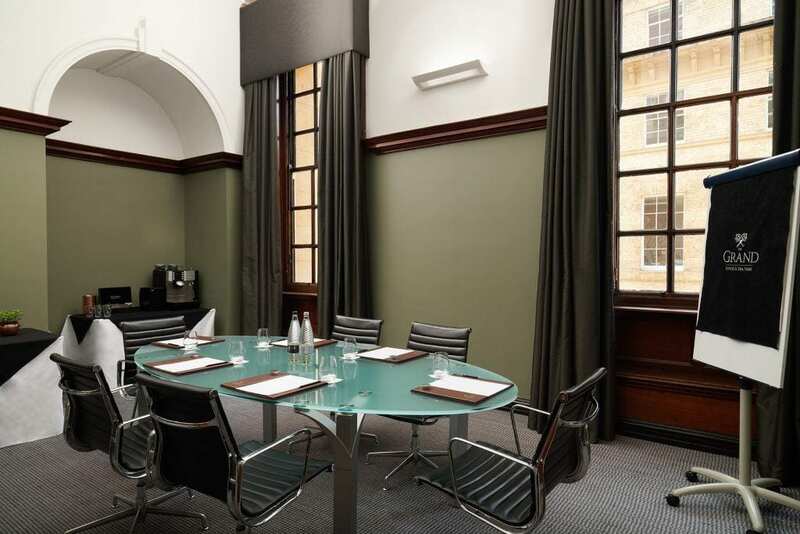 The suite suits boardroom meetings for up to 12 delegates, and 20 theatre-style. The Ridley takes its name from Sir Matthew White Ridley, Chairman of the North Eastern Railway in 1902 as well as Home Secretary in Lord Salisbury’s government from 1895-1900. The room holds up to 12 delegates boardroom-style and 20 delegates theatre-style and has wall mounted plasma, free Wi-Fi, air conditioning and tea and coffee machines. The first of our more intimate meeting rooms, The Butterworth seats up to eight delegates with wall-mounted plasma, smart chairs, a stylish fixed-glass boardroom table and coffee machine. This suite is named after Sir Alexander Butterworth who served as solicitor to the North Eastern Railway between 1891 and 1906 before becoming General Manager. Frank Paterson served as the General Manager from 1978 and 1986 and still resides in York. The suite is just as welcoming and charming as the man himself, accommodating up to eight people with plasma’s, free Wi-Fi and coffee machine.